I knew then that what I was doing mattered that people need to laugh just as surely as they need to breath just as surely as the blood transfusions that my brother received on so many occasions some of which were made of my blood saved his life this too was vital and that it just might be my lot in life to make light of this heavy thing that I could bear the burden that others couldn't and that because of that I had to.we stayed with him a full week during which he was transferred to the cancer ward in San Fransisco where they eventually saved his life but not before we had to leave him which broke my heart but before we left I told my mom to go ahead of me I had something to say to my brother fighting back the torrent of my tears I hugged him and said "your gonna get well"
"Because your not gonna get this back until you do"
This last June my brother married the love of his life and I had the honor of serving as his best man which gave me the perfect opportunity to return what I had stolen. Not just his nose which was, of course, imaginary but the fear that I knew would have clouded his thoughts each day. By being brave for him i was able to transmute it into something else what I'm still not sure but I am sure that it was good. 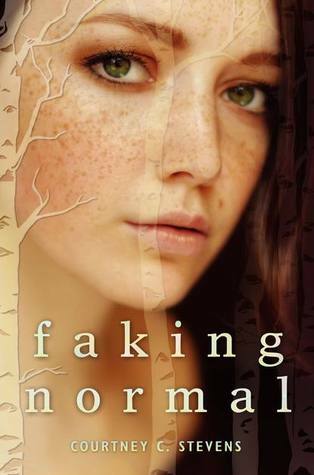 Courtney's Book, Faking Normal, which this whole celebration is about goes on sale February 25th. Do yourself a favor and check it out!